Flu activity is widespread in California and most of the United States. Influenza seasons are unpredictable and can begin as early as October. 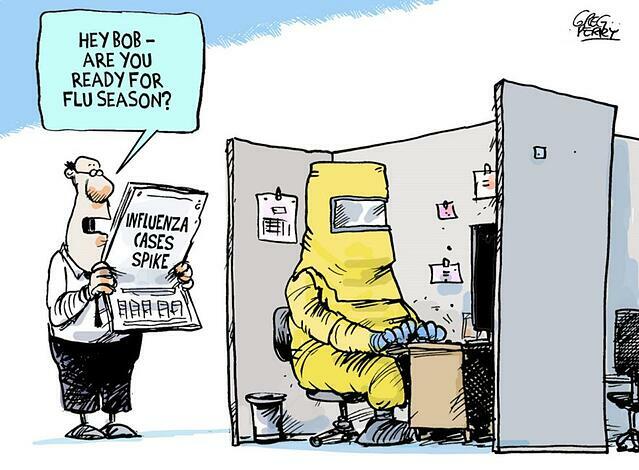 Influenza (Flu) is a contagious respiratory illness caused by influenza viruses, and can cause mild to severe illness. Serious outcomes of the Flu can result in hospitalization or death. Certain groups, such as older people, young children, and people with certain health conditions, are at even higher risk of serious Flu complications. Of the 97 deaths in California, seven were age 17 or younger. Though this is a staggering number of deaths, the California tally does not accurately depict the Flu’s deadly toll across the Golden State; due to the fact that health officials are not mandated to report deaths among those 65 and older. However, Los Angeles County reports those deaths. As of January 13, the last date for which data became available, there were 96 deaths reported so far this season with an age range of 46 to 100. The median age among those who died was 81. Meanwhile, Long Beach health officials have just recently reported the city’s first Flu-related death. According to the U.S. Centers for Disease Control and Prevention, “this season could see the high number of deaths and hospitalizations reported in 2009, when the novel H1N1 flu strain emerged and caused a pandemic.” The germs that cause Influenza spread up to three feet when someone who has the Flu coughs or sneezes; causing an airborne spread of the illness. Cleaning the air ducts of your residential, industrial or commercial buildings are essential to eradicating the space of any residual airborne germs that can cause further infection. With 79,000 duct cleaning projects competed to date, AirTek Indoor Solutions is an Energy Star Partner and member of the Green Mechanical Council and the Indoor Air Quality Association. In addition, they adhere to all industry standards and recommendations set forth by the National Air Duct Cleaning Association (NADCA), IKECA and NFPA. AirTek’s certified technicians utilize state-of-the-art video inspection equipment, including proprietary devices designed by our own team, to clean and handle every type of HVAC system. For a professional evaluation and cleaning of your air ducts, call AirTek Indoor Air Solutions at 1-877-858-6213 for a free quote today.